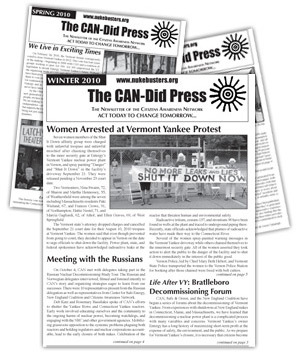 The CAN-Did Press is the newsletter of the Citizens Awareness Network. We publish the newsletter on a bi-annual basis. Sign up here to have the latest copy emailed to you.